School Subject Art - Reason or Feelings? I have learned and I have grown. I have lost and found my will to make art. I have lost my innocence. I have loved. I have hurt. I have changed. Yet, I am the same. As a mother of young children in need of looking after, as a daughter of parents who have succumbed prematurely to cancer and Alzheimer's disease, as the wife of a doctor who chooses to practice in a public hospital, as a transplant in USA and as a college instructor in direct contact with at-risk young adults I have had my fair share of exposure to life's hardships. Yet, I am the same. The one thing that remains constant and unchanging is my trust in art as a healing and life enhancing force. 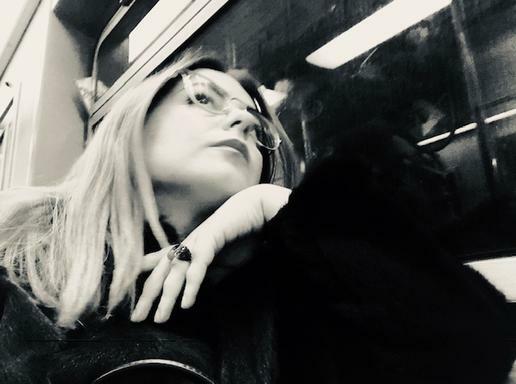 Wholeheartedly believing that art facilitates emotional expression, making and sharing my art has served as my very own source of healing and a great help in channeling my inner strength toward positive mindset and a sense of connection with people in vulnerable situations. My primary body of work is comprised of Abstract Art (mixed media, oil on canvas & prints) and multi-layered (figurative, abstract & biomorphic) Collage. Scroll through my Artist Stament to learn more about my creative porcess. In the past few years, having become first the mother of a wonderful boy and just a little later the mother of a wonderful girl, I have thought long and hard about best ways to surround children with art that speaks to them in a direct and meaningful way. My first picture book Here Comes Ingo, winner of the presitigious Mom's Choice Award, comes as the next step in my efforts to integrate open end creative experinces in early childhood development. I conceptualized this picture book as a sort of performance art meant to break down the wall between the expert storyteller and the kids by getting them involved because children are expert readers of pictures and no words are necessary. In this sense, the book fits neatly within the larger body of my work since it is meant to provoke a desire to impose a story upon the image. Join Our Email List to Stay Up to Date on New Releases! 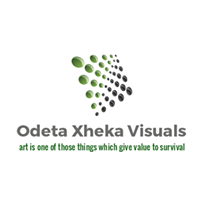 © Copyright 2019 - Odeta Xheka Visuals.